Garmin Ltd. reported second-quarter revenue of $817 million. Malibu Boats said today that third-quarter sales rose 12.6 percent to $77.1 million. Garmin Ltd. said today that it had first-quarter revenue of $639 million. 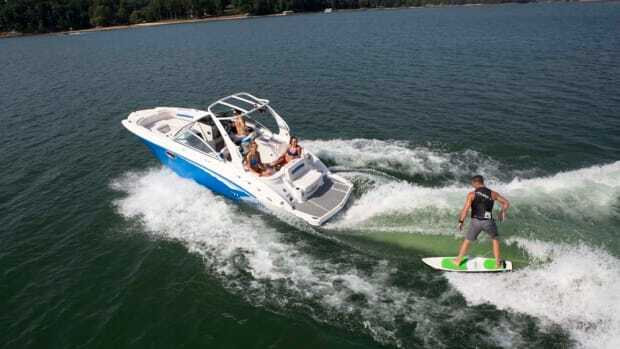 West Marine said revenues fell 1 percent in the first quarter. Garmin reported strong fourth-quarter and 2016 results as sales and profits rose from year-earlier figures. MarineMax today reported revenue growth of 25 percent in fiscal 2016 to $942 million. Net sales increased 8.4 percent in the first quarter for Malibu Boats to $62 million. Garmin said it grew revenue 6 percent in the third quarter to $722 million.